If it weren’t for Autumn I’m not sure that I could ever let go of the long, hot, glorious days of summer and accept the daylight scarce, frigid days of winter. There is just something about the bright blue sky, warm sunshine and explosion of red, orange and gold that keeps me from completely digging my heels in and saying, “No way!” to winter. Autumn mellows me. It cajoles me into accepting cooler temperatures and shorter days. Fall has the magical ability to turn that spoiled summer child in me into a contented woman who appreciates home, family and the abundance in her life. I’m really not sure exactly how that happens, I think it must be some sort of seasonal slight of hand. By distracting me with so many things that I love, Autumn somehow keeps me from noticing that I’m on a path that leads to winter’s doorstep. Even though I know what Autumn is up to, this year will be no different. Like every October and November before, I’ll happily watch the magic unfold right before my eyes, forget about what is ahead and wonder why I would ever hesitate to forge ahead into Fall. With so many delightful distractions vying for my attention can you blame me? 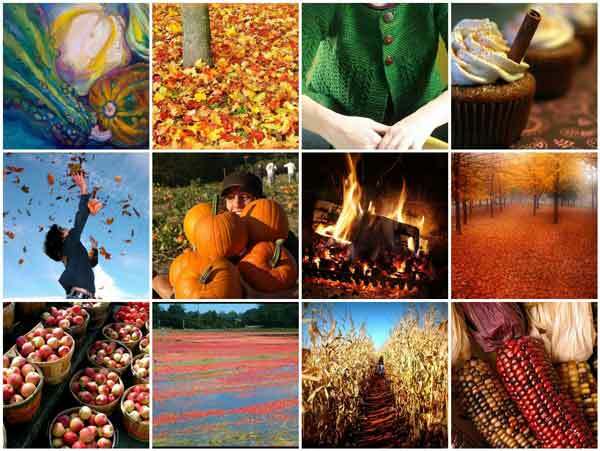 What do you love about this time of year? My favorite autumn distraction is walking through piles of dried leaves, hearing the crunch and feeling the crispness in the air! That is a wonderful experience and so much a part of autumn. I’ll put mine on and join you, Mark. I remember when people first started going crazy for Hello Kitty merchandise here in the States and it wasn’t just kids. Many grown woman went crazy for Hello Kitty, too…and many still do. Getting back to knitting! Summer is too busy and too warm to work on my favorite hobby. Re-discovering my stash a squishy colorful yarn is a great part of getting back into it. 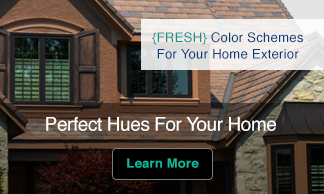 The color arrays available in yarn are nearly as varied as what you can put in your home with decor. I’m thinking from that beautiful green sweater in the photo that you either know a knitter or are one yourself. Yes, knitting! I haven’t done much knitting in recent years but always loved the rhythm and feel of the yarn in my fingers. I’m a sucker for anything created from beautiful yarn. Living in Florida, I look forward to getting back outdoors…cleaning up the garden and the exterior of our home; riding bikes with the kids; going for walks, etc. I lived in Florida and it sure isn’t the same as a Fall in New England but it sure is nice to have Fall be the harbinger to nice weather rather than a cold winter ahead. Enjoy! I can appreciate your eloquent essay on the changing of the seasons, but few of us in Texas lament the passing of summer! It’s only now that our climate becomes pleasant again. I like to say that October in Texas is God’s way of apologizing for August. I look forward to lighting the gas fireplace, burning wood-scented candles, and delving into more gold and faux fur in my wardrobe. Something funny I’ve noticed about the dead of winter (which is brief here, but still…) is that the lack of color and warmth actually makes me gravitate more toward red and burgundy items – a set of sheets, or a blouse – that feel too “hot” to me in spring or summer. Having spent time in Houston in August a few years in a row, I can really appreciate you saying, “October in Texas is God’s way of apologizing for August.” Enjoy the Fall! Experiencing the spectacular fall foliage and colors of autumn which I get to see every day in the beautiful state of Vermont, where I have lived for the past 20 years. I never tire of seeing the changing colors, especially the vibrant reds and oranges, glorious yellows & golds, and the play of sunshine and shadow over the rolling hills and mountains that surround the town I live in. Vermont is always beautiful but breathtaking at this time of year. When I lived in Boston I always looked forward to visiting Vermont in the Fall. I love putting on my big, knit socks, sweaters, and sipping mulled wine. That sounds wonderfully cosy, Cady. I was just thinking of you this week. 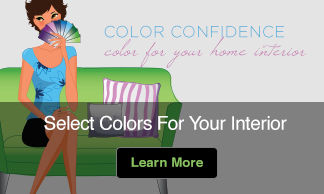 I hope you are enjoying helping many people with color for their homes. I love how excited my animals are when the weather changes. My kitties see a slight movement then will jump into a pile of leaves and go crazy. Love, the smell of Vanilla and Cinnamon and painting with colors like pomegranate red and butternut squash orange !!! Leslie it sounds like you have your own cute kitty video in the making. Cats can be so entertaining. Love those scents and colors, too. Enjoy the Fall. Autumn in Florida means the air feels invigoratingly cool and crisp and it’s time to throw open the windows and let the fresh air flow through the house. It’s also when my favorite Starbucks drink returns: the salted caramel mocha. And let’s not forget about pumpkin nut muffins and caramel apples! (Can you tell I’m hungry?) I also love the crackle and scent of logs burning, especially outside. Now, if only Autumn would come visit Florida, it’s not here yet! Fire! I love love love sitting around a flickering fire pit, talking about life and dreams and sharing “when we were…” stories. Hubby at my side and Tessa, our Staffy, at my feet. Sipping on good red wine, staring at the mesmerizing flames and just “be” . And off course it get’s better when the laughter of your friends mingle with the quiet sounds of an autumn evening. I love that too, Max. A fire is always so inviting and relaxing. Happy autumn. It’s the warm smells of cinnamon, pumpkin, and apples baking that epitomize fall for me. Red, orange, and yellow leaves blowing around while we’re making s’mores at the fire pit. Nothing like it! Sounds delightful. I haven’t had s’mores in ages. Fall: bright crisp mornings, orange and red maple leaves, a hot cup of coffee, kids back in school….cinnamon spice in Apple baked goods….Fall a restful time! The first signs of autumn fills me with a creative energy that as an artist, I love. I love the way the woods smell, the sounds of the crows, the gathering of the wild turkeys. I love the manner the leaves change colors and the days shorten, the nights longer and the embrace of winter. It is my most creative time. The colors of autumn spark my fire, too Edith. Enjoy!